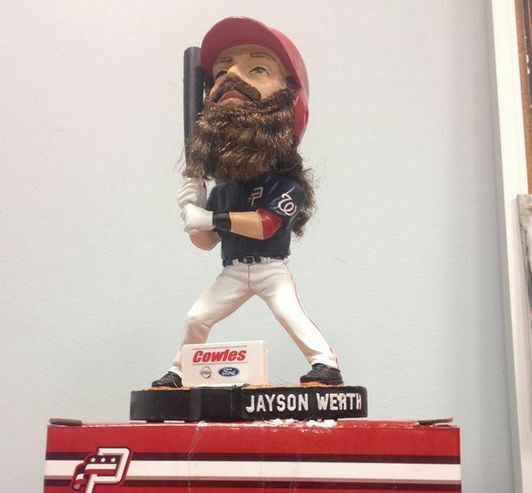 So we make a lot of custom bobbleheads with beards and mustaches, but this Jayson Werth bobblehead that the Potomac Nationals are giving away brings a new meaning to a hairy bobblehead. The thing appears to have real hair! Hopefully PETA will not need to investigate. Imagine our displeasure upon learning that we had missed one of the best bobblehead giveaways in recent memory on May 24th. 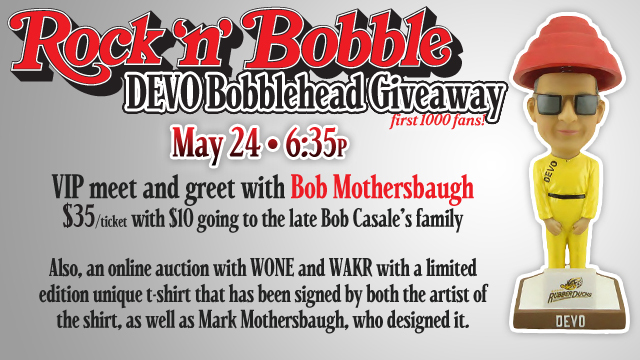 The Akron RubberDucks gave away bobbleheads of the classic 80s band Devo, wearing yellow hazmat suits and the iconic Devo hat. A few years back we did some research to see what states and Metro areas “consumed” the most custom bobbleheads in the country.